A lawmaker is counting on “shared wireless communications towers” to help boost mobile Internet connectivity all over the country. Campos made the statement ahead of the Nov. 7 opening of bids for the would-be third player that will be awarded all the licenses and radio frequency bands needed to compete with PLDT and Globe Telecom Inc. – the country’s two dominant Internet service providers. 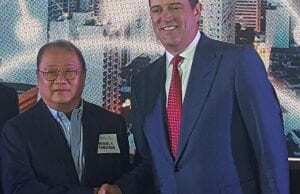 The proposal was submitted by ISOS Infrastructures a firm chaired by Michael Cosiquien, one of the founders of Philippine Stock Exchange-listed Megawide Construction Corp.